You are here: Home » Tag "Better Energy"
Let’s get this new year off to a great start together with our January Mini Detox! 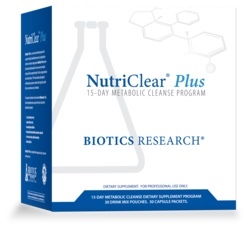 Purchase your Nutri Clear Plus detox kit by January 12th and pay $145 instead of the usual $169. Nobody wants to do a detox alone…so we encourage you to invite a friend to join you, and come enjoy our kick-off event. Those who attend the detox seminar will be offered an additional discount on the purchase of a second detox kit which can be used to extend the detox beyond the 15 days or given as a gift to a friend or family member! Please email us at frontdesk@purenwell.com or call 844-787-3935, Ext. 1 to let us know you’re coming! Over the past couple of months, we have been outlining many of the benefits to our Pure Reset Diet program. We know this program can change your life and we hope after reading through these benefits, you’re ready to get started on your path to the Pure Lifestyle! If you missed one, see below for links to all of the amazing benefits we’ve reviewed. I’m sure you’ve experienced brain fog before, but maybe you didn’t know quite what caused it. Unfortunately, the packaged and processed foods that line our store shelves these days contain food additives, like monosodium glutamate, artificial sweeteners, colors, and flavors. Many of these are known neurotoxins, which greatly affect your brain. We’ve all heard how important sleep is to our health. But are you getting the rest you need? Studies show most adults are only getting 6 hours of sleep per night. Some common culprits are stress, coffee, alcohol, and a poor diet. When you change to the Pure Lifestyle, and you’re feeding yourself nourishing foods, you will find you fall asleep easier, stay asleep longer, and just feel more rested. And often times, Pure Lifestylers report dreaming more often and more vividly. This shows they are getting deeper sleep during the night.